While social media is still full of people vehemently griping about how The Walking Dead’s Season 6 finale came to an end, there are many others out there who have moved past the rage and are actively trying to figure out who the hell died. But while the audio (both leaked and aired) and Negan’s “Eenie Meenie” game have been picked apart to no end, fans might actually want to go back to the very first shot of the episode, as well as a couple of others, to try and unlock the mystery. “Last Day on Earth” begins with some blurry lights that don’t make much sense at the time, and a similar shot also appear later in the episode. But don't be fooled that this was just some unfocused point of randomness. 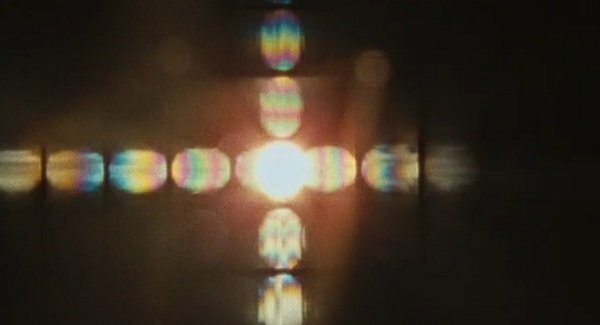 It all becomes clearer (both literally and metaphorically) the third time those lights show up, as it happens when Negan’s eventual line-up is coming together, and viewers realize that these have actually been point-of-view shots from inside the vehicle where the Saviors were keeping the kidnapped Glenn, Michonne, Daryl and Rosita. While easy to dismiss during the initial viewing of the episode, longtime fans know that The Walking Dead is a show that uses P.O.V. angles in the rarest of cases, and especially not in conjunction with one another to prove a point. And so when the fourth and final P.O.V. shot comes into it – which you’ll probably recall happens in the last minute or so of the episode – it’s arguable cause to mentally connect each of the P.O.V. shots as coming from just one character’s pair of eyes. If that’s true, it would mean that the victim pool would be limited to just Glenn, Michonne, Daryl and Rosita. When the doors are opened and Dwight starts taking everyone out, there’s that moment when the light pours through that we can see someone’s head on the bottom of the frame, and the short hair would indicate it’s Daryl. And as PopSugar points out, we then see that Michonne is right behind Daryl, so that’s one possible conclusion to be drawn. But then, we don’t really see where Rosita or Glenn’s heads are at that moment, so there’s nothing certain to be said here. I mean, nothing is certain about any of this, considering this show could retcon anything it wants, but you know what I mean. Depending on who you listen to, some of the cast might know who actually died or none of them do. 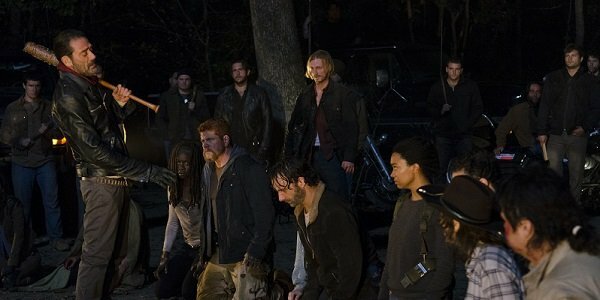 Robert Kirkman said that there were a few hints as to the victim’s identity in the episode, while showrunner Scott Gimple said that there wasn’t really anything that people could use to figure it out. Seems like no one got together beforehand to talk about how to handle all of this with the press. The Walking Dead won’t return to AMC until October, but at least we know we’ll find out who was killed when Season 7 begins, since the episode will reportedly give viewers the full gore-filled assault. Lucille needs to feed, people! But in the meantime, check out everything else premiering in the next few months, check out our summer TV schedule. Do You Believe The P.O.V. Shots Were Clues About The Victim?